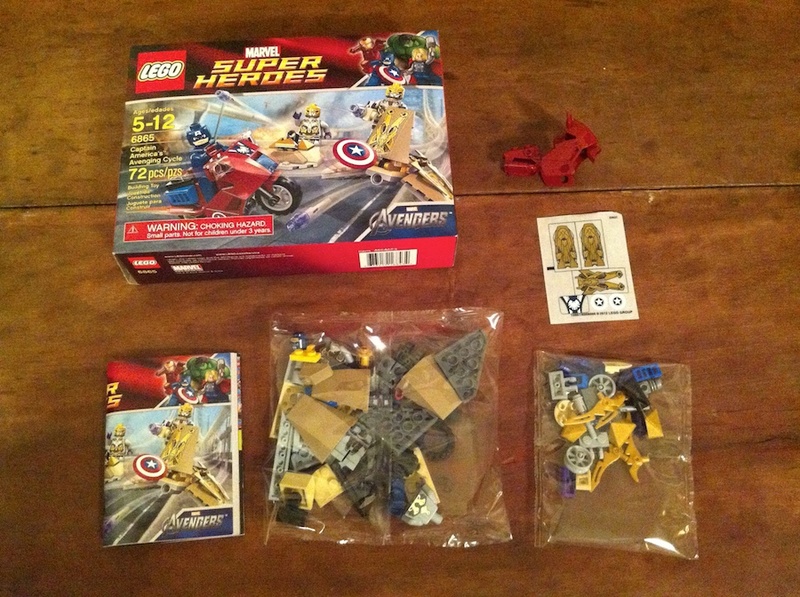 Here is the second set in the new LEGO Marvel line that I was able to get my hands on, #6865 Captain America’s Avenging Cycle. 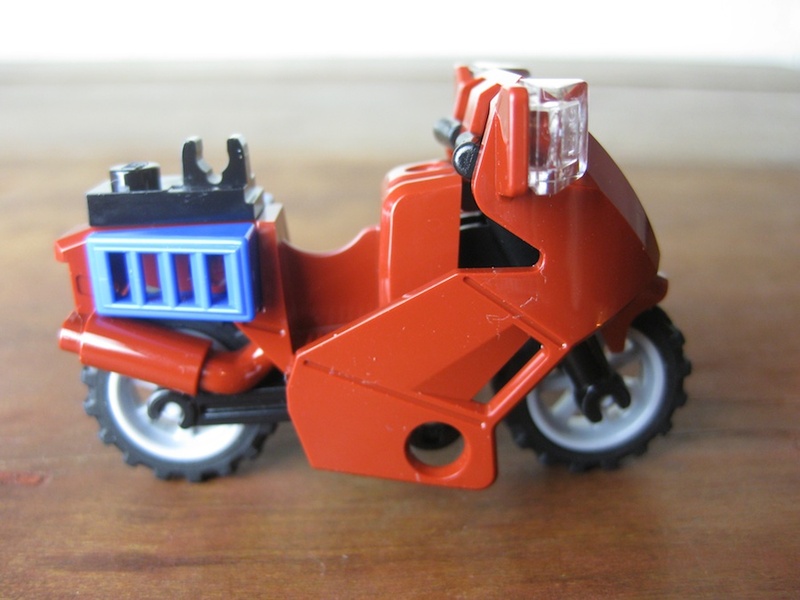 It’s a small set, priced like a battle pack at $12.99 with 72 pieces. 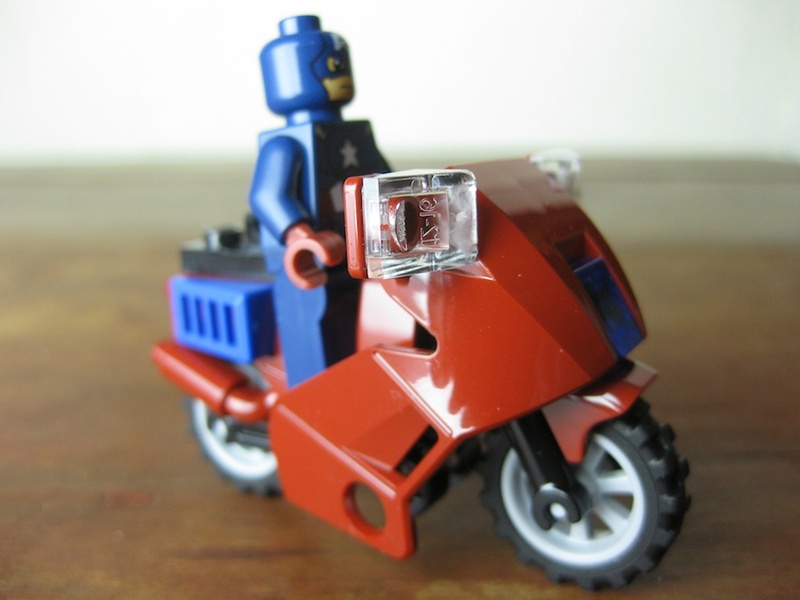 The main features are the minifigs and motorcycle. 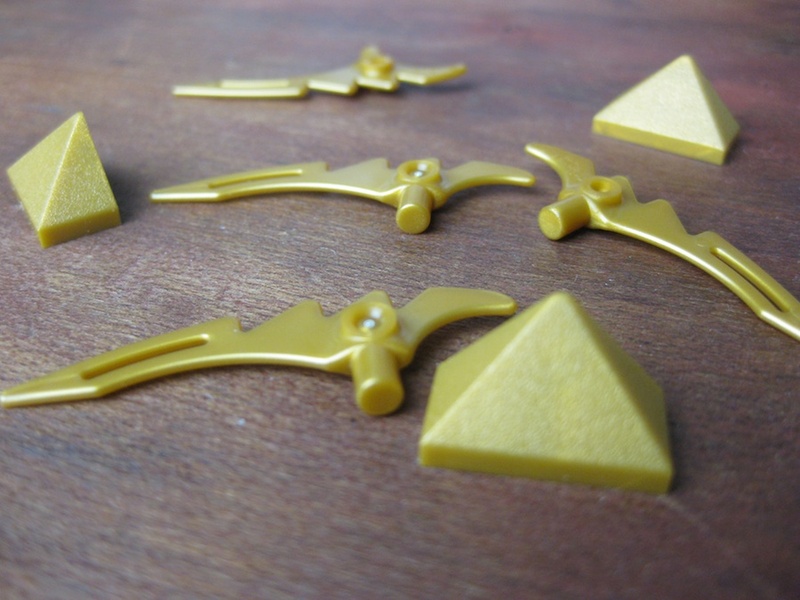 Some “gold” LEGO pieces in this set. To me, they always feel a bit cheap, especially those long thing pieces. Bendy plastic feels cheap. 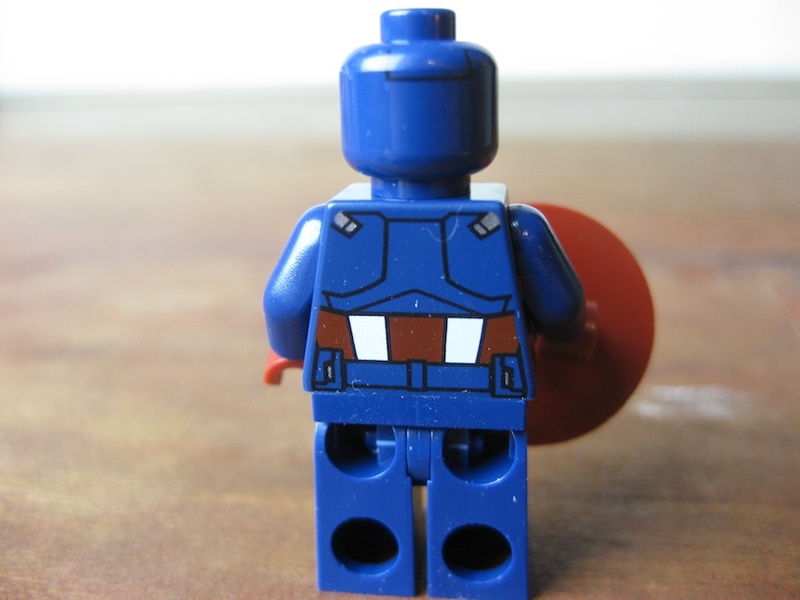 The real (and only) highlight of the set for me: the Captain America minifig. 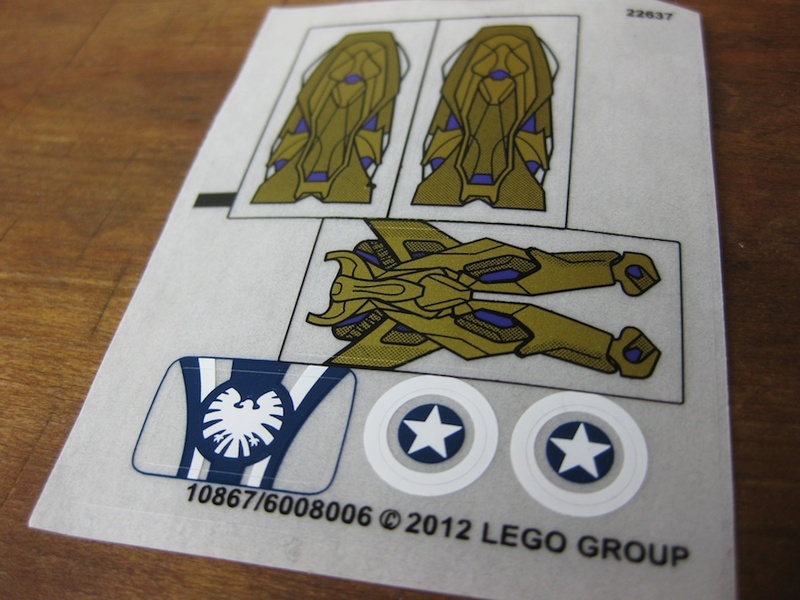 He came out really nice, I like how LEGO went with a darker blue for the pieces. 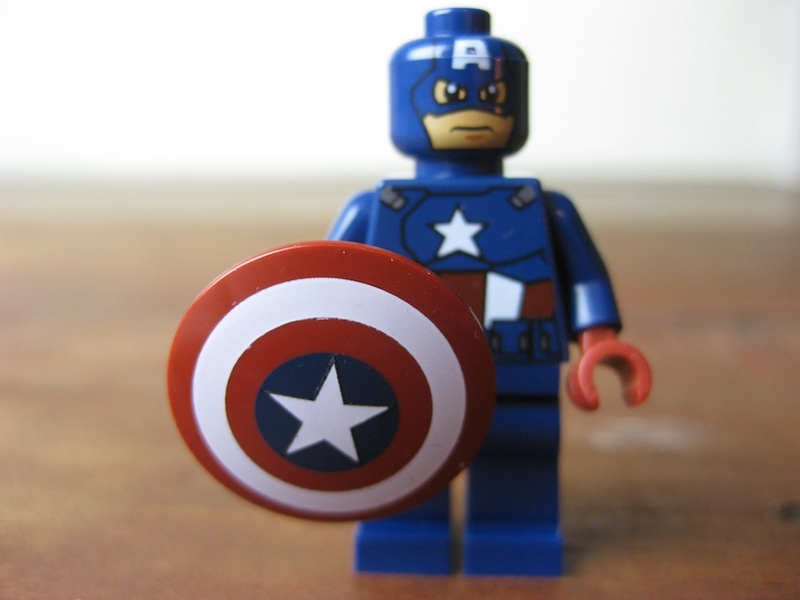 The shield is really nice – that makes the figure extra special. Overall – pretty impressive. I am unfamiliar with these characters (because I haven’t seen the movie), and when I looked them up, I can see why. 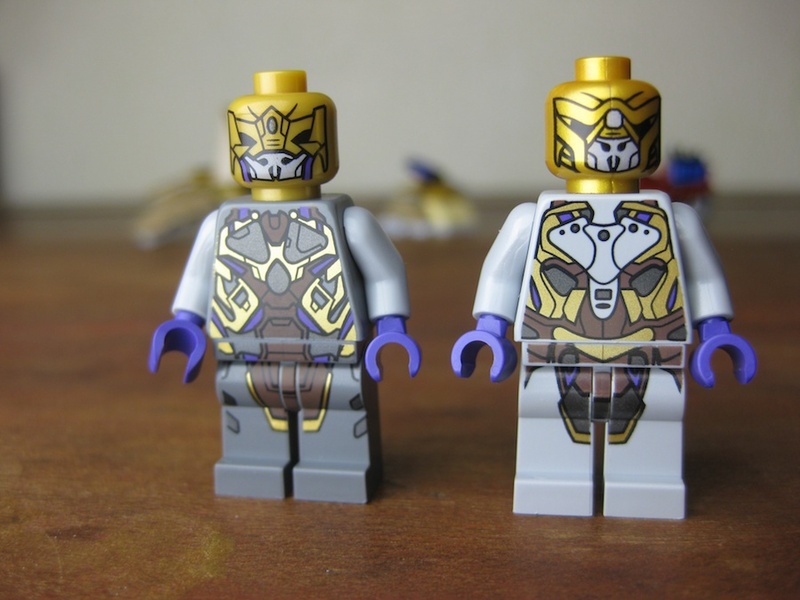 They are described as: “Alien General” and “Alien Foot Soldier.” Gee – great character names there, I can already tell they won’t win in the movie with names like that . 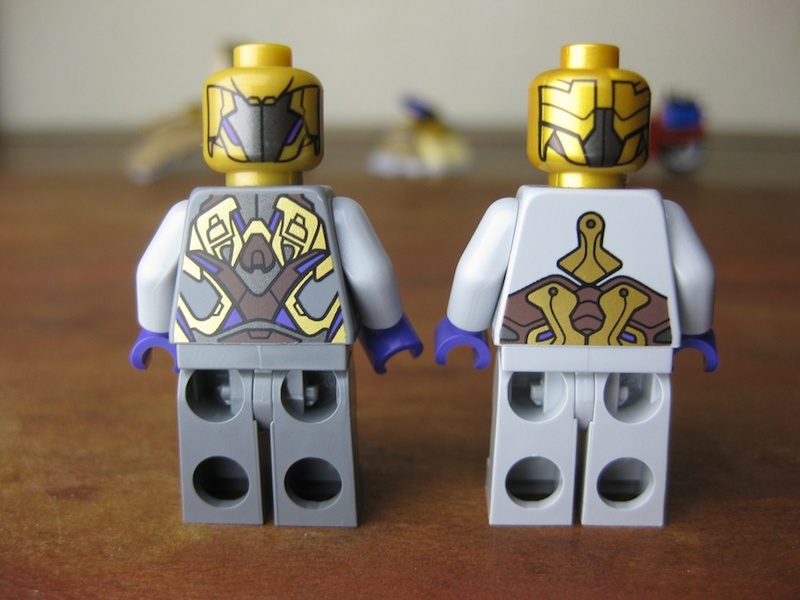 The printing on them is kind of cool, as is the gold color to their head. 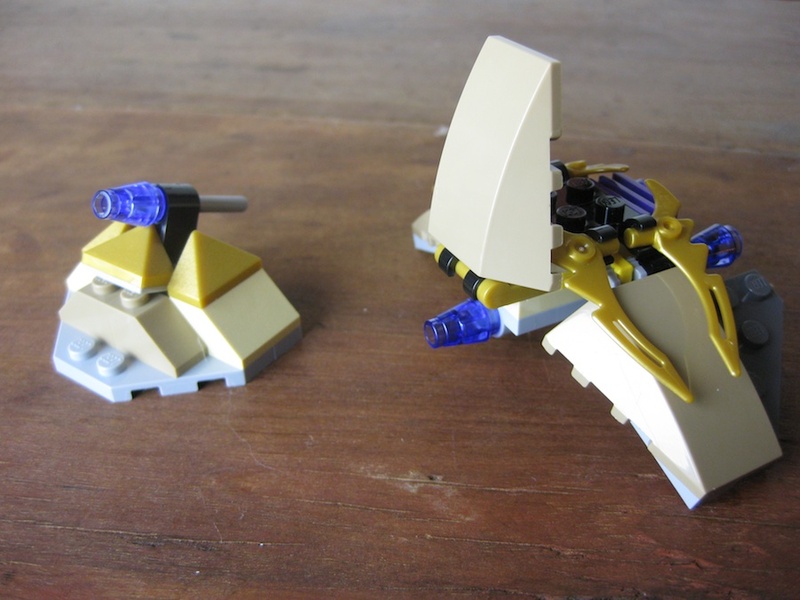 It is impressive how good LEGO has gotten with this. 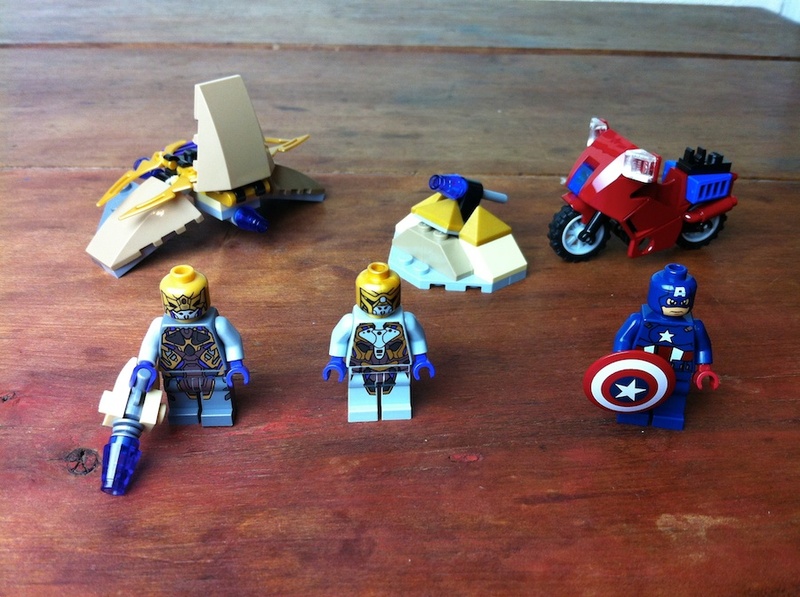 But… these don’t seem like very interesting characters, making them forgettable in such a small set. 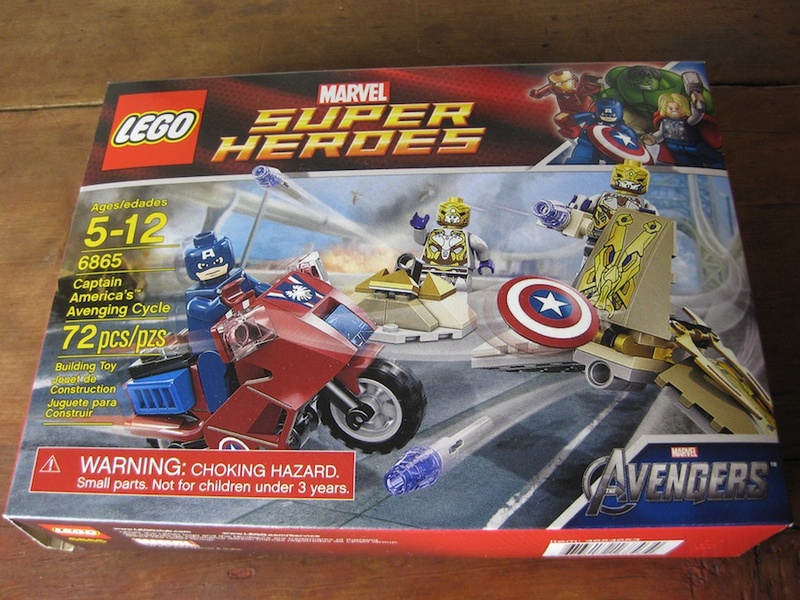 Overall: if this is the only way to get Captain America, then the set is worth the price for that alone. But beyond that, unless these aliens are SUPER compelling in the movie, my gut is this is going to be one of the less popular sets. When you look at Wolverine’s Chopper Showdown which I reviewed recently, you see how much more compelling it is to have three cool (and known) characters in a single set.